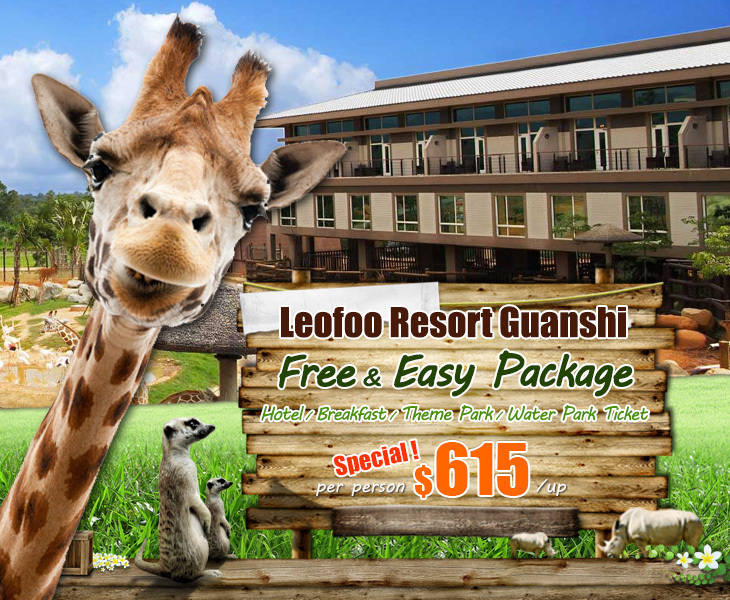 Situated in Guanshi, Hsinchu County, Leofoo Resort Guanshi is adjacent to the Leofoo Village Theme Park. 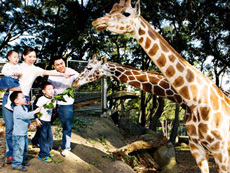 It is Asia's only Resort that employs natural habit and herbivore as design inspirations. The guest rooms all have large, bay view windows, guest would be able to see many different types of free-range African herbivores such as: giraffes, rhinoceros, zebras etc. This allows all the hotel guests to be able to explore intimate encounters with these animals, experience breathing with the animals, and through the interactions and guided tours. ^Interact with Ring-tailed Lemur is only eligible for aged 6 or above. ^The King of the Jungle Caged Car is only eligible for aged 10 or above. - Terms and Conditions of AsiaTravelCare.com is applied for above offer. 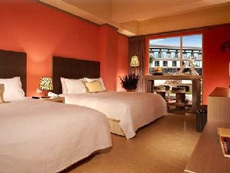 - AsiaTravelCare.com reserves the right at any time to discontinue or change this offer. - In case of dispute, the decision of AsiaTravelCare.com shall be final. To ensure delivery of our email to your inbox rather than to your junk folder, please add [ promo@edm.asiatravelcare.com ] to your address book.